Christopher Lee (Carson Middle School, Pittsburgh); Joseph Feffer (Mt. 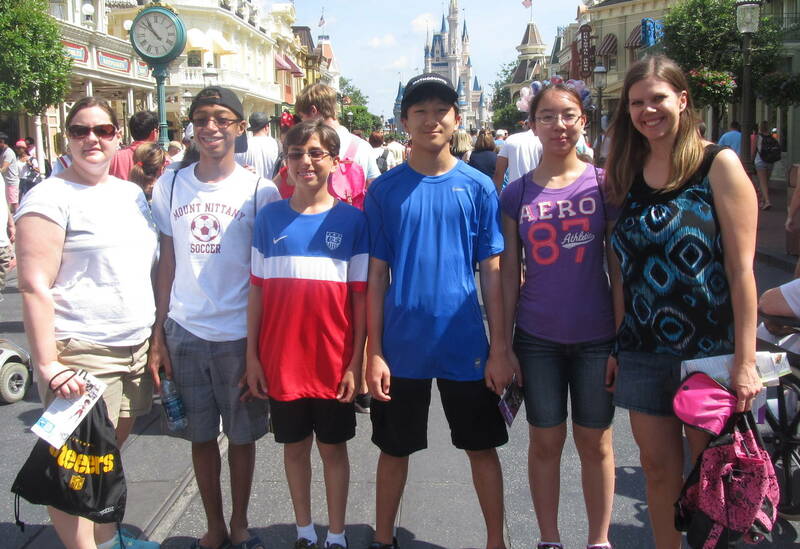 Nittany Middle School, State College); Kiran Rebholz (The Shipley School, Bryn Mawr); and Wanlin Li (Ingomar Middle School, Pittsburgh) advanced from the Pennsylvania MATHCOUNTS competition to take fifth place as a team at the Raytheon 2014 MATHCOUNTS National Competition in Orlando FL. The 2014 Raytheon MATHCOUNTS National Competition was held May 8-11, 2014 in Orlando, FL. The 224 final Mathletes® from 50 U.S. states, U.S. territories, State Department schools and Department of Defense schools and their coaches were treated to a National Competition experience like no other, including Disney theme parks and The Sum of All Thrills at Epcot. Watch the archived 2014 Raytheon MATHCOUNTS National Competition via webcast on ESPN.